Muhanad Mahmoud Al Farekh, 32, was sentenced by U.S. District Judge Brian Cogan in Brooklyn federal court. A U.S. citizen was sentenced to 45 years in prison on Tuesday for supporting the militant group al Qaeda and helping to prepare a 2009 car bomb attack on a U.S. military base in Afghanistan, less than the life sentence sought by prosecutors. 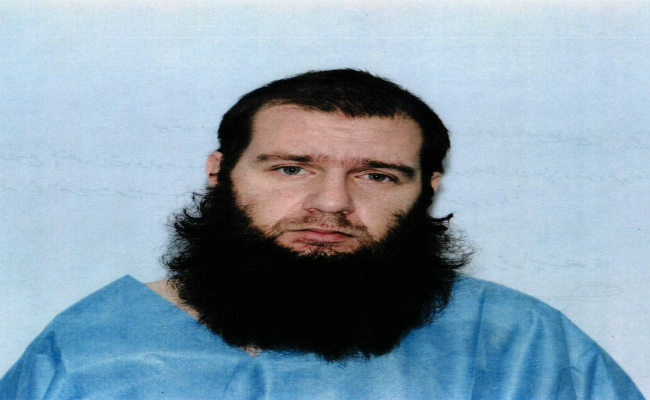 Muhanad Mahmoud Al Farekh, 32, was sentenced by U.S. District Judge Brian Cogan in Brooklyn federal court. Al Farekh's lawyer, David Ruhnke, said at the court hearing that Al Farekh would be appealing his conviction. Before Cogan imposed the sentence, Ruhnke read a letter written by Al Farekh, who did not speak himself. Al Farekh did not directly address the crimes of which he was found guilty, but asked the judge to consider that young men could be misled into violence. Al Farekh said in the letter that he was now opposed to violence. Assistant U.S. Attorney Richard Tucker urged the judge not to believe the letter, saying Al Farekh remained "unshakably committed to violent jihad" and was "willing to say anything." Cogan said the letter was "not an enthusiastic acceptance of responsibility." "I just can't draw anything from that," he said. Still, the judge said he was giving Al Farekh some hope of life after prison because he did not believe him to be "totally devoid of humanity," citing the support of his family. Cogan said that, with 15 percent off his sentence for good behaviour and three years time served, Al Farekh could get out when he is 67. Al Farekh was found guilty by a jury in September of the charges of conspiring to murder Americans, using a weapon of mass destruction and supporting a foreign terrorist organisation. U.S. prosecutors in 2015 accused Al Farekh, who was born in Texas, of conspiring to support al Qaeda by travelling with two fellow students from the University of Manitoba in Winnipeg, Canada, to Pakistan with the intention of fighting U.S. forces. Al Farekh had helped prepare an explosive device used in a Jan. 19, 2009 attack on a U.S. Forward Operating Base Chapman in Afghanistan, prosecutors said. Prosecutors said an accomplice detonated one device, injuring multiple people including a pregnant woman, while Al Farekh's fingerprints were found on packing tape for the second device, which another accomplice carried but failed to detonate. One of the other university students with whom Al Farekh travelled in 2007, Ferid Imam, has also been indicted, though his whereabouts are unknown.